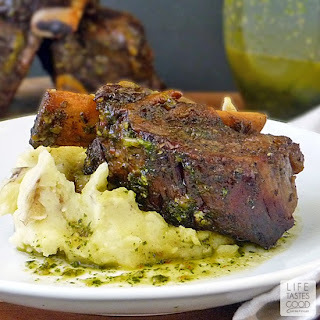 Chimichurri Braised Beef Short Ribs is a delicious gourmet meal that practically cooks itself! You'll love how easy these ribs are to prepare and how delightful they are to eat! Beef Short Ribs are incredibly tender y'all. I mean they melt in your mouth like butter, and don't even get me started on the flavor! It's hard to describe something this good. It's best just to taste for yourself. My favorite way to cook short ribs is to braise them. When you braise, you first get a good sear on all sides of the meat and then you cook on low in your favorite acidic liquid until the short ribs are fork tender. For this recipe I used a Homemade Honey Chimichurri Sauce. 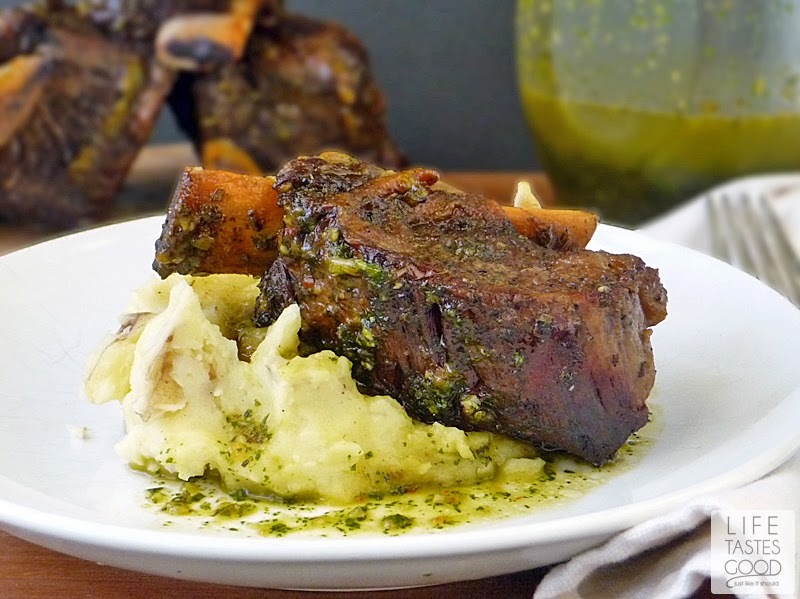 The sweetness of the honey paired with the fresh herbs, combine to make a delicious marinade that compliments the short ribs nicely. The sauce is super good on the mashed taters too! I used a new product to spice up the chimichurri sauce in this recipe. Chili Beak is a spicy roasted, artisan chili oil that is 100% all natural! I love that! Jason, from Chili Beak, sent me a jar to test, and test I did. I have used this in scrambled eggs, on pizza, in dips, in soup, and now to spice up my chimichurri sauce for this recipe. Chili Beak has a rich flavor with just a hint of smokiness to it. The heat is just right! Not too hot and not too mild! It is a great addition to all your favorite foods where you like to add just a touch of spiciness. 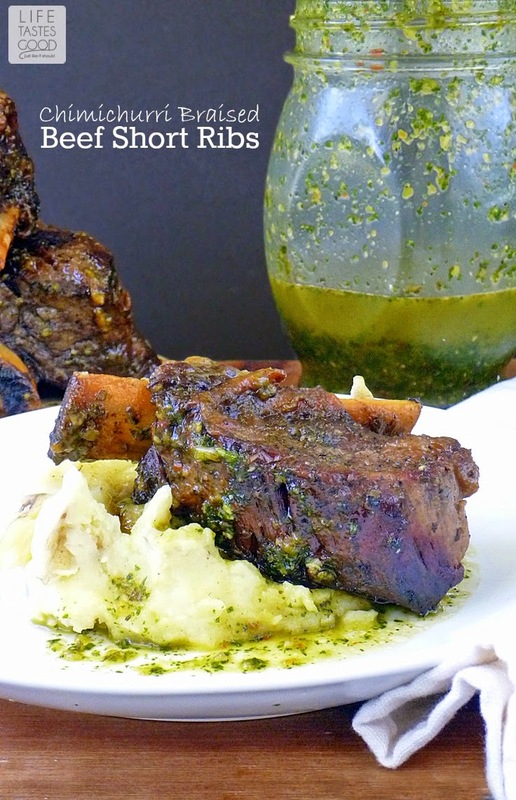 It really helped to cut the sweetness of the honey in my Chimichurri Braised Beef Short Ribs and is a perfect addition to the sauce. I recommend you give this a try and right now you can receive 25% off your purchase if you hurry! It is limited to the first 100 folks, so don't miss out! Visit the Chili Beak store and enter your special discount code: LTG25 to get your very own jar and spice up your life! Disclaimer: I really enjoyed this product and think you will too. I did receive a sample to help facilitate my review. No other compensation was provided. In the bowl of a Food Processor , combine 1/2 cup honey, 1 bay leaf, 1/2 cup olive oil, 1/2 cup red wine vinegar, 1 cup fresh cilantro, 1 cup fresh parsley, 2 tablespoons red bell pepper, 1/4 cup chopped onion, 1 tablespoon freshly minced garlic, 1/2 tablespoon Italian seasoning, 1/2 tablespoon kosher salt, 1/2 teaspoon pepper, and 1 teaspoon Chili Beak oil . Turn on the food processor and process until mixed well. Give it a taste and adjust the seasonings to your liking. Refrigerate until ready to use. I recommend making this up at least a day ahead for best results. Preheat your oven to 350°F. Season the ribs generously with salt and pepper. Heat a large cooking pot, such as a stock pot or a dutch oven, on mid-high heat. Add enough olive oil to cover the bottom of the pot, about a tablespoon or two. Let the olive oil heat up and then add your ribs in a single layer. Sear the ribs about 2-3 minutes on each side. You want to get a good sear on each side, so while they are searing don't try to move them around. Let them sear for a good 2-3 minutes or longer if needed depending on how hot your pan is. Once the ribs have a nice sear on all sides, remove from heat and add 1/2 the chimichurri sauce to the pot with the ribs. Reserve the remaining chimichurri sauce to serve with the ribs. Cover the pot with foil and place the pot in the preheated oven. Cook for 90 minutes or until the ribs are fork tender. Remove the ribs from the pot serve with the reserved chimichurri sauce. This goes great with Garlic Mashed Potatoes! I love what braising does to meat. You are right, low and slow and you've got something that is fork tender and melts in your mouth. Comfort food at it's best!! Comfort food is right! 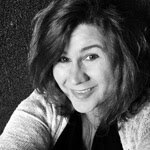 Thanks, Renee! That chili oil sounds like a great addition to your beef, especially with your chimichurri sauce. Delicious combination of flavors! Thanks, Sandra. I'm loving the chili oil. Don and I both are using it on most everything! I am up for any meal that practically cooks itself LOL! This looks like a great one! I was never a big fan of ribs but this looks so good I think I have to try your recipe. I can't wait to try the Chili Beak Chili oil too. We love trying new spices and oils. Short ribs are in a league of their own. They aren't like spare ribs or baby backs. They taste more like the most tender and delicious pot roast you could ever imagine. They are one of my most favorite when it comes to beef. I hope you get to try the chili oil, Tammy. It's quite delicious, and I love that it is all natural using quality ingredients sourced in the US. I first saw these on Pinterest, and when I saw them, my mouth started watering. And then I thought, whoever made these is a genius. Then I saw it was you! And my thoughts were confirmed. Yum!